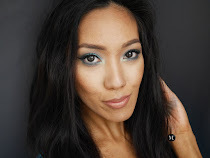 Now that the weather has warmed up and the sun is always out, I've switched out a few of my makeup products that is more suitable to current weather. 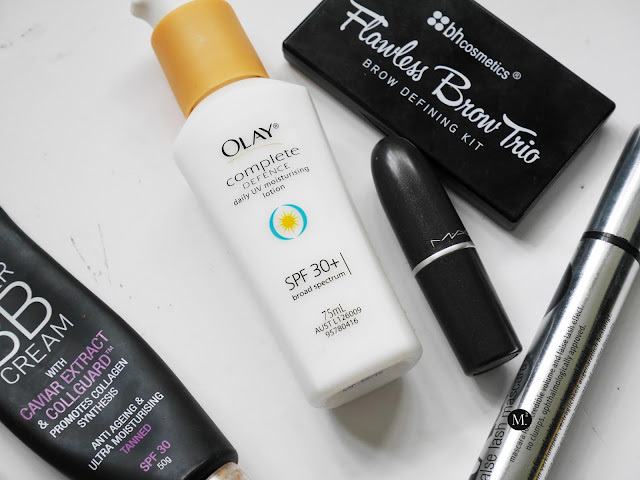 Also these are the products that I can just grab and quickly apply in a early start! To start off, SPF is a must! 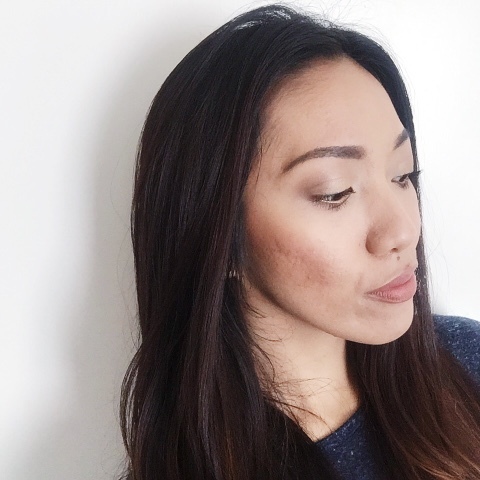 I went back to using OLAY Complete Defence Daily UV moisturizing lotion SPF 30+ before foundation application. It moisturize my face and at the same time protect against uv rays. This is by far the only sunscreen that does not irritate my face. However, I try to leave my neck area with just moisturizer. Any sunscreen or foundation with SPF applied in my neck area is a NO NO. It gives me hives and would not go away for about two weeks! The more protection the better! 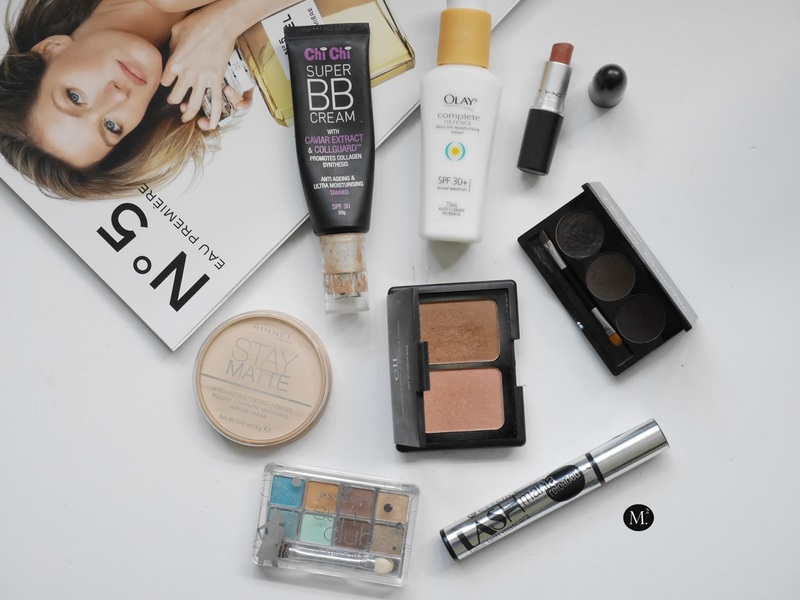 ChiChi Super BB Cream is another must-have this spring/summer. The most SPF a bb cream can have, and it gives insane amount of coverage! I do often skip moisturizer and just go straight to applying BB cream. 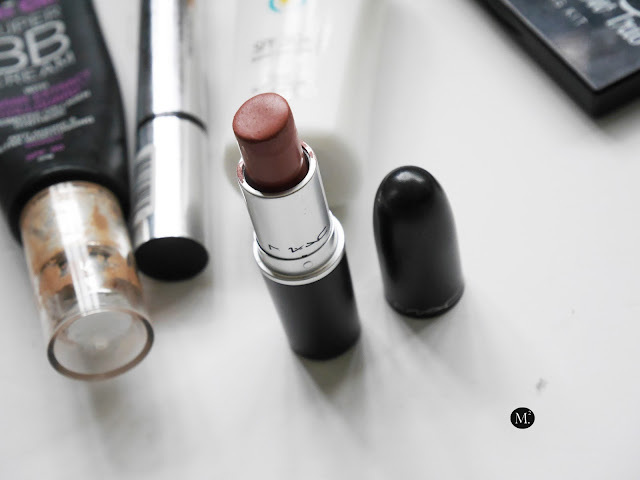 8 hours is a long day, so keeping matte is one of my top priority in makeup! I went back to the OG Rimmel Stay Matte Powder. Boy, I forgot how much I loved this product! 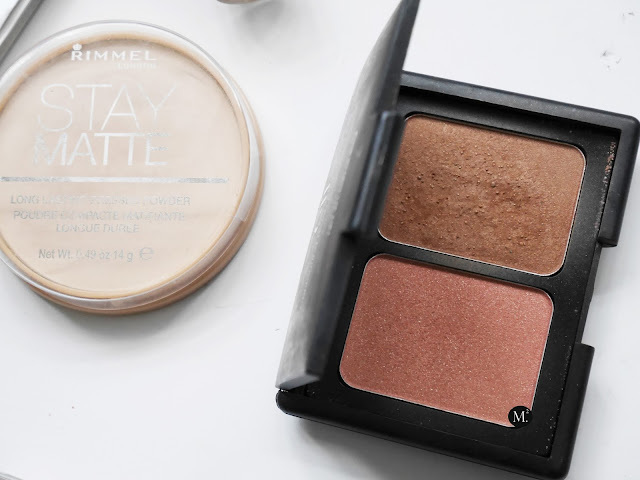 It truly does keep you matte for a long time, and the powder is so finely milled that you would not look all caked up! Bronzing is one of my favorite. This e.l.f Cosmetics bronzer/blush duo comes in handy for day to day. Personally, the blush is a tad lighter on my skin tone so I skip that. But the bronzer is love! It has the right amount of shimmer and warmth for everyday wear. Staying awake is such a struggle, especially for a early morning start! So resorting to products that will help me fake it, is all I'm about! 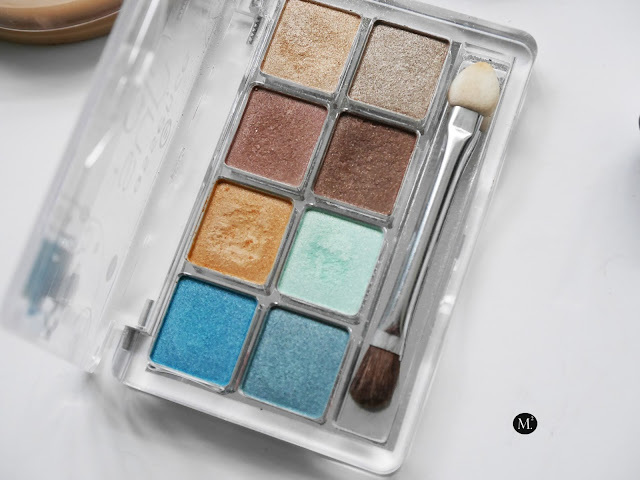 I've been recently enjoying this Essence Eyeshadow Palette 'South beach' for a quick wash of color on the lids. Best part of this go-to makeup is the mascara! It helps in opening up the eyes making me look wide awake! To pump up my lash game, my favorite drugstore mascara is the Essence Lash Mania/Reloaded false lash mascara. It gives my lashes length and volume. And as for the lips, it is always my ride or die lipstick in Velvet Teddy by MAC Cosmetics!